I love traditional recipes. French Toast, Apple Pie. I mean the classics. Why change them? Most of the time I make them the old fashioned way. But once in a while . . . you just have to change. 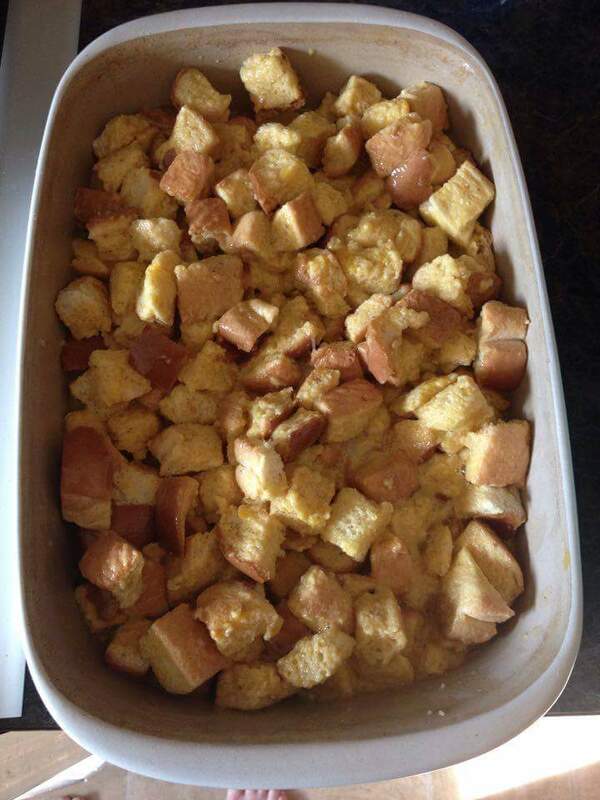 Meet French Toast Casserole. It's easier (especially when you are cooking for a crowd) and tastes exactly like the French Toast you already make. 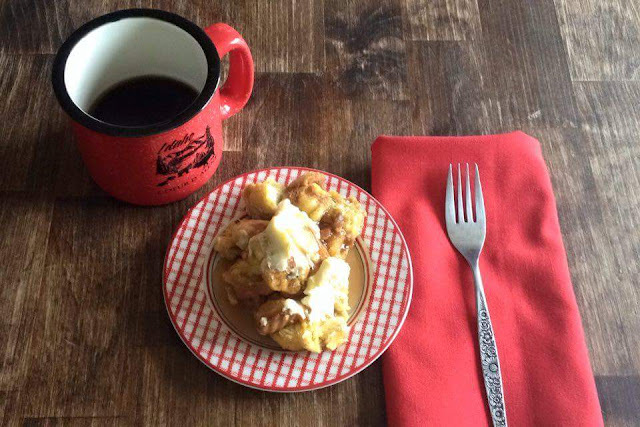 I used my own French Toast Recipe the same as I would use for the traditional way. Just so you know, I rarely measure. I just pour and mix. So the below recipe is really just a guestimate! 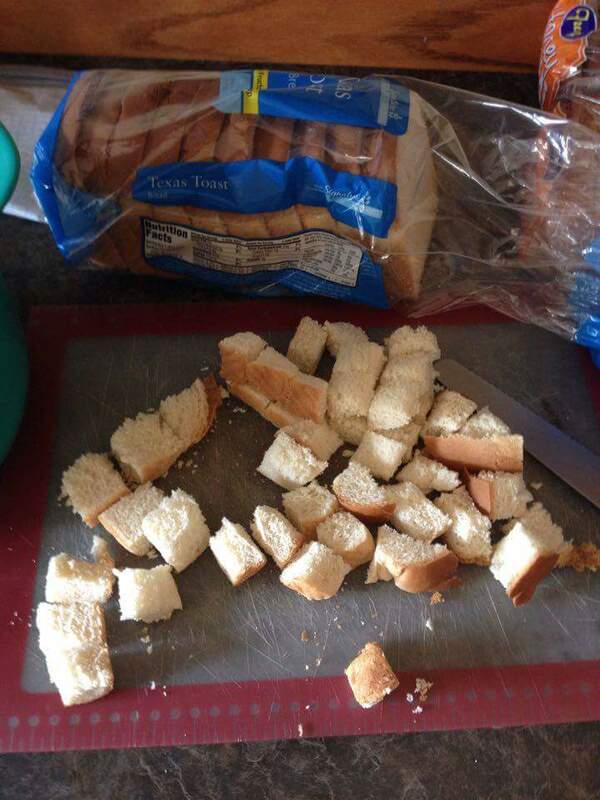 Chop your Bread. 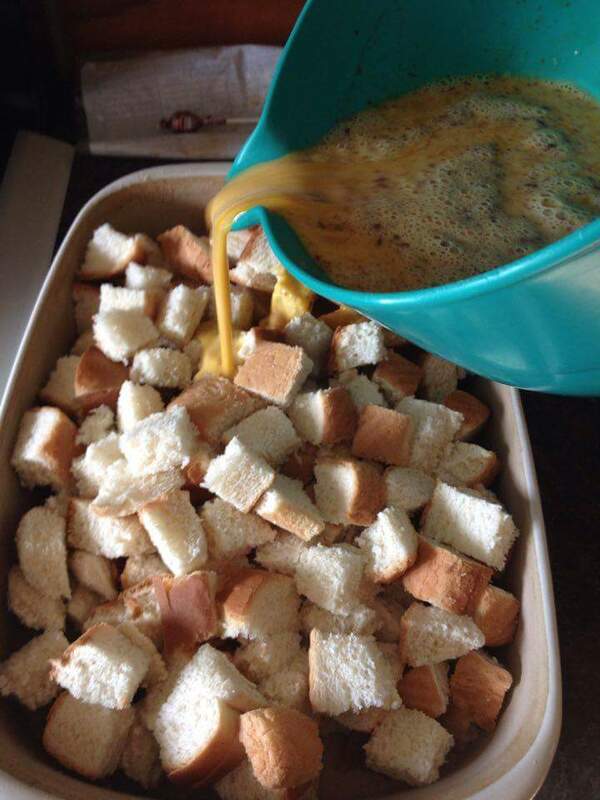 I love using Texas Toast. It is just nice and chunky. I used one whole loaf. Grease a baking dish. Any baking dish that's big enough will work. 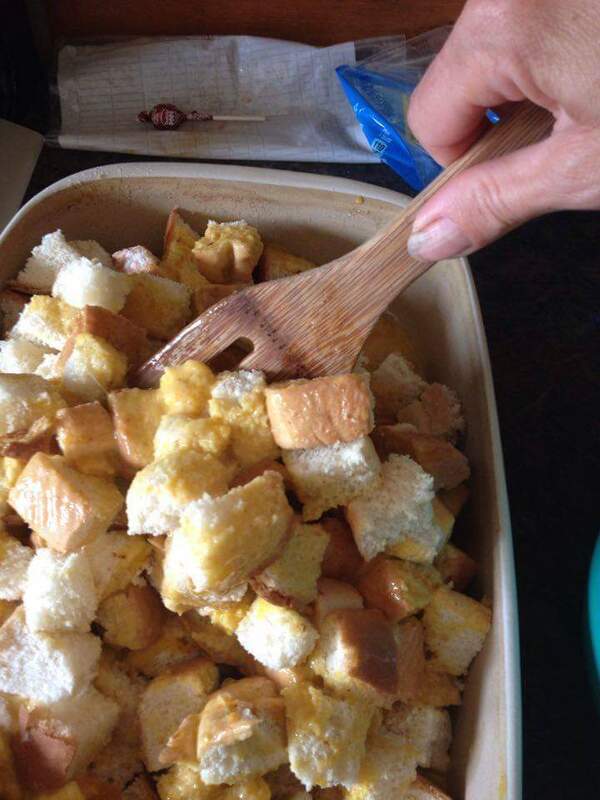 Put all the bread in the dish. 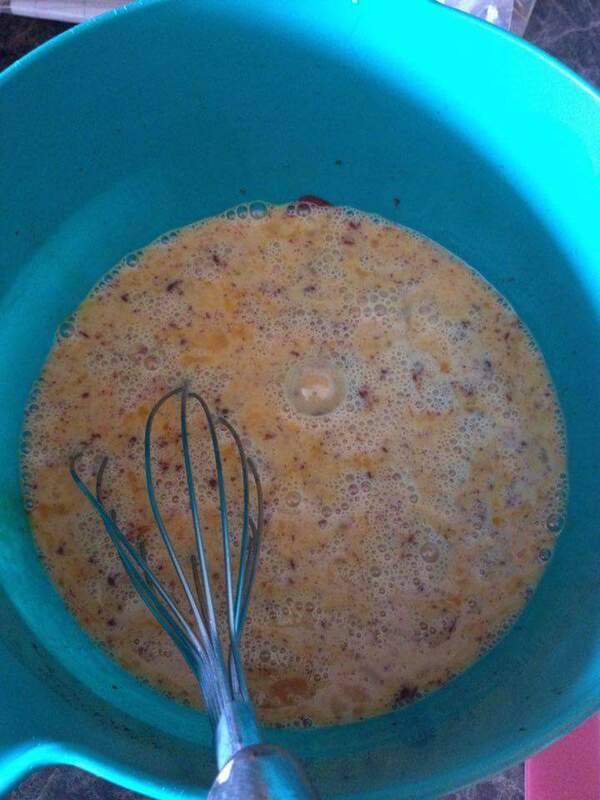 Pour egg mix onto bread. Gently stir. Bake 350 for about 30 minutes.